On an Apple Watch support page, Apple states that "permanent or temporary changes to your skin, such as some tattoos, can... impact heart rate sensor performance". This interference, however, is not limited to the Apple Watch becuase the sensor functions of many smartwatches struggle when the amount of light reflected back from from the skin, due to deeper-coloured pigmintation, is less than the device is calibrated for. 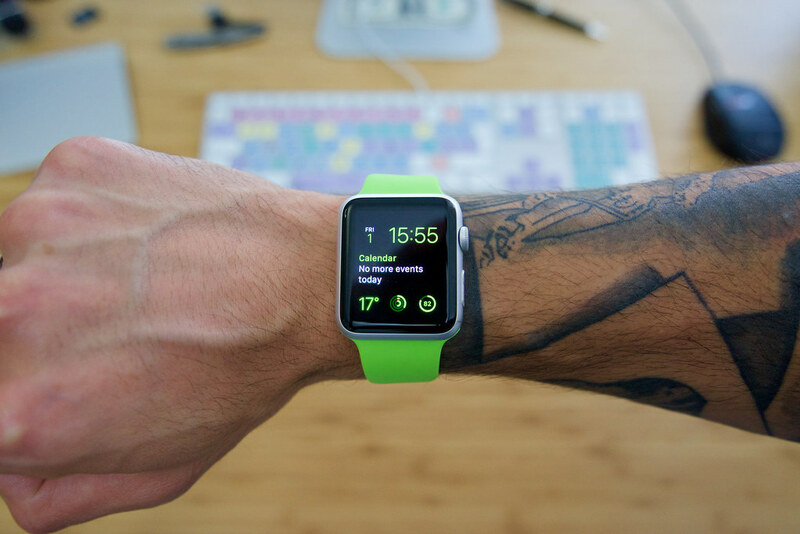 Essentially, the Apple Watch uses LED lights and when that light hits the user's blood, red light is reflected and green light is absorbed. Due to different coloured tattoos, different light is reflected and inaccurate heart rates may be reported. Apple reminds users that they can use connect external heart rate monitoring devices to their watch via bluetooth. "the watch locks on tattooed skin and does not deliver the soft pings that alert a user to incoming messages"
Unfortunately, this issue may also affect users with darker skin, since darker skin reflects back different colours of skin that lighter skin. "The winning wearable tech in the next few years will be the devices that work with our bodies, not the ones that ignore them"
While traditional ink tattoos cause negative interference with smartwatches, perhaps there can be some positive benefits between smartwatches and tech tattoos. This wearable trend is currently under development by different parties and is a superficial take on tech implants.